An Anzo smoked black LED third brake light puts you only seconds away from transforming your brake light from dull and bland to a sleek hi-tech LED style that will get you noticed. The added brightness Anzo brake lights offer will also keep you and your family safer. 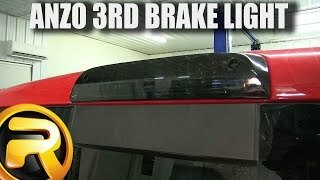 A smoked black LED 3rd brake light from Anzo USA gives your truck great looking style and performs at a first class level. The added brightness from the LEDs Anzo uses in these brake lights is sure to get the attention of drivers behind you fast. The smoked black housing combined with a clear lens will set you apart without going over the top. 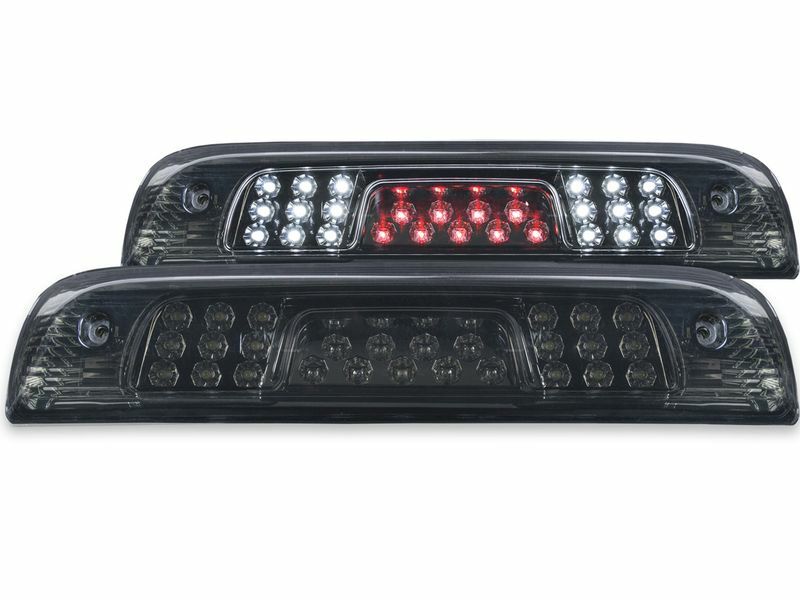 Each light is designed to fit your exact make & model so they'll blend in with your truck or SUV's body lines. Anzo smoked black LED third brake lights have one of the easiest installs in the industry. Each brake light is designed to simply plug into your existing wiring without any cutting or drilling. Step up from the ordinary, it's time replace your factory brake light today! Anzo lighting products, including their LED 3rd brake lights, are covered by Anzo's one year limited warranty against defects in materials or workmanship. An LED third brake light by Anzo USA offers an easy at-home installation without the need for drilling or cutting. The installation instructions are easy to follow along. For additional information or if you have any questions, please call us any day or time.